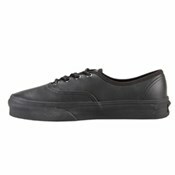 Vans VN-0QERL9M Authentic Italian leather Black. 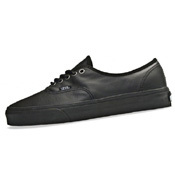 Vans Authentic style has been around since the beginning of the company. This is a classic! When Paul Van Doren first started selling his shoes on March 16, 1966 these were the design he started with! They have barely changed over the years. This shoe in particular has been manufactured with real Italian leather for extra durability and style. 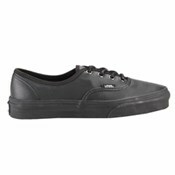 Looking for a comfy work shoe? Look no further!